Click the frequently asked questions below to view the answer for each questions. Why should I give my charitable donations to the Community Foundation instead of directly to the charity? By pooling funds from many investors, the Community Foundation has the potential to command higher interest rates and lower management fees. Some types of funds within the Community Foundation even provide you with choices on how you would like your monies disbursed. The Community Foundation then continues to carry out your wishes perpetually. The Community Foundation can also redirect your gift through “variance power” should the charity cease to exist. Will the foundation ever change a donor's instructions? A common governing instrument called a “fund agreement” covers all gifts and funds in the community foundation. This agreement includes a “variance power” to modify the use of restricted funds if such restrictions become unnecessary, incapable of fulfillment or inconsistent with the charitable needs of the community or area served. Those are the only conditions under which a foundation modifies the terms of a gift. Should my attorney be informed of my interest in the Community Foundation? The fund agreements that establish donor named funds in the Community Foundation are made available to each donor during preliminary conversations with the Community Foundation’s staff. However, it is always recommended that the donor’s own legal and financial counselors review charitable gift plans. To whom will the Community Foundation be accountable? The Community Foundation of Greene County will file an annual return with the Internal Revenue Service, which is a publicly available document.  The Community Foundation must meet annual performance standards established by the IRS to maintain its charitable status as a nonprofit 501(c)(3). However, the Foundation will be primarily accountable to the people of Greene County and must publish an annual report for public distribution. Typically, there is no minimum contribution required. However, if a donor wishes to establish a named or designated fund, this can be accomplished by contributing $5,000 over a five (5) year period, or for a scholarship fund, $25,000 over a five (5) year period. No, the Community Foundation is able to accept gifts of appreciated securities, real property, and in some cases, personal property, just to name a few. To endow is to make a grant of money that provides for the continuing support or maintenance of a favored charity. Gifts of endowment are perpetual, since only a portion of the income is distributed. The principal of the gift remains untouched forever. How long will it take to establish a fund within the Community Foundation? Establishing a fund is easy! Once the donor and appropriate counselors of the donor approve a fund agreement, the initial contribution is made and the fund is established. Generally the fund will need to be approved and accepted by the Foundation’s Board of Directors at its next meeting. Who receives grants from the Community Foundation? IRS-designated 501(c)(3) nonprofit organizations providing services within Greene County are eligible for grants. The Community Foundation has established guidelines and application processes that must be followed by grant seekers.